My loves? Besides God, family, and work?? 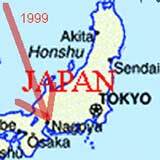 Came to Japan: a very hot July in 1992 Why Japan? What is the sound of one hand clapping? 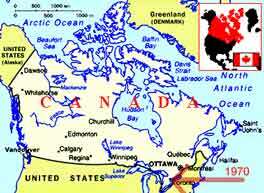 This is where I was born. I lived in London for five years. About all I remember are rainy afternoons, fish & chips, double-decker buses, Batman, my first friendships, and the first book I read. 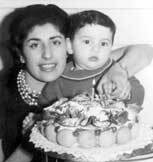 This is where my father and mother were born. 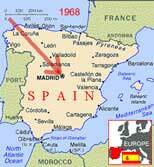 I lived in Madrid for three years. I remember school and my beautiful teacher, chocolate sandwiches, my first Christmas presents, Asterix, visits to my grandparents, and the first snow I ever saw. I still like Spain -- and Europe in general -- very much, and visit it and other European countries as often as the family budget can afford. My dream is to someday visit the Rodin museum in France and to make a tour of Italy. This is where many of my memories are. I learnt English (and some French) in Canada, but continued Spanish at home; some people say I still have a slight accent (and who doesn't?!). Living in Toronto, I learnt to love winter -- next to Japanese spring and Spanish summer, it's my favorite season. Toronto is also where I learnt to enjoy foods from around the world -- great restaurants and fantastic markets! Ah, Mashiko-machi! My first home in Japan. I loved living in the middle of rice-paddies with hardly anybody around and the nights so dark. Met my beautiful wife, Reiko, here. And here too I learnt to appreciate Japanese pottery and ceramics, both of which Mashiko is famous for -- the April Pottery Festival is massive!! Kumamoto City is not too big, not too small -- you can get around on a bike very nicely and (almost) safely. The castle is beautiful, the streetcars are a nice addition, and the ramen noodles -- especially from Kokutei restaurant-- are the best in Japan. 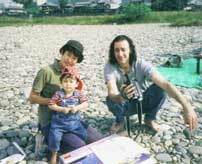 Gifu, the hottest place I've lived in Japan -- which, given how hot summers can get here, is saying a lot. The view from the castle is spectacular, and on the beautiful Nagara River you can picnic or watch the cormorant-fishing. 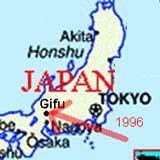 Gifu is also the native city of my lovely son, Julius. Strange but, like every other Japanese city I've lived in, Nagoya too has rivers and a castle. Nagoya is the biggest Japanese city I've lived in (lived in Tokyo for one summer -- now that's big!!). It's nice to have lots of choices about things to do with the family on the weekend -- and nice too are the all-you-can-eat hotel-buffets (which for some odd reason are called vikings?!). I love music of all types. Exotic world music and vocal music are especially interesting these days, but if I could only take three musical works to a desert island they'd be Beethoven's symphonies, Mozart's Don Giovanni, and Kenneth G Mills' The Fire Mass. I'm passionate about the stuff -- perhaps too much so! I used to go to restaurants a lot but, with a family now, my vicarious thrill is to visit food markets. Whenever I move to a new city I make sure to check out all the markets, large or small, searching for something exotic or new which I (or rather, my wife) then try to cook as authentically as possible. But, if I could only have three things for the rest of my life they'd be pizza, apple strudel and cola. These, according to my wife, are her main competition for my attention (you tell me, is four computers and another on the way too many?) Whether it's programming them, assembling them or tweaking them, or whether it's discovering new possiblilites for their use at school or at home, give me a box with a microchip -- or even anything that plugs into a wall-socket -- and I'm happy as a kid in a candy shop. The smell of a new electrical appliance alone is like catnip to me, and I just shudder to think about the days before electricity! We do such strange and sometimes even wonderful things. I just love to watch us go intently at it, which explains my love for drama and poetry as ways of pondering (perhaps even fathoming out) what makes us tick and what our (my?) place is in the Scheme of Being.